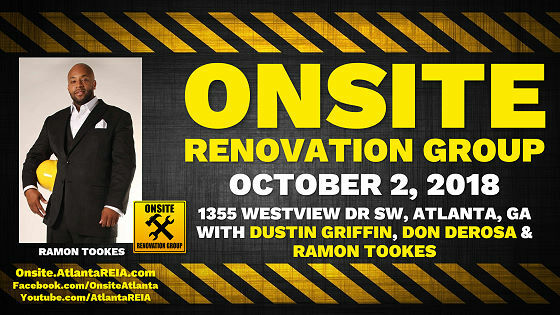 Come See Ramon Tookes’ Rehab Project in Atlanta! Please join us on Tuesday, October 2nd at NOON for the Atlanta REIA Onsite Renovation Group (ORG) to learn all about finding, funding, fixing and flipping houses for big profits right here in the metro Atlanta area. 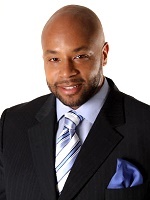 This month’s meeting will be held at Ramon Tookes‘ rehab project located at 1355 Westview Dr SW, Atlanta, GA. This property is located directly across from the Beltline entrance and will be a complete renovation down to the studs. Ramon purchased it in June and began demo in July and plans to finish it by the last week in October. The purchase price was $111k, the renovation budget is $120k with projected sales price of $329k and projected profit after commission, holding costs, and cost of money of about $60k. This is a group project where Ramon obtained the financing and invested money with about 7 of his students so that they can learn while they earn. Ramon is a seasoned Real Estate Investor who has mastered fixing and flipping houses. He also wholesales houses, coaches and is an now author with over 20 years of industry experience. Come join at Onsite to see Ramon’s rehab and learn some rehabbing tips and trick from this flip master!